Claude Puel had to go - but who next for Leicester? 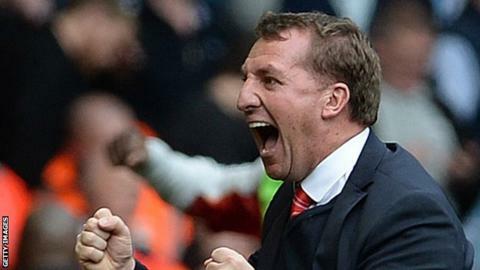 Could Leicester be the club to offer Brendan Rodgers a return to the Premier League? Leicester City's hierarchy - led by Aiyawatt "Top" Srivaddhanaprabha - will have taken the decision to sack manager Claude Puel with heavy hearts. The 57-year-old Frenchman was a dignified figure in the aftermath of the helicopter crash at The King Power Stadium in October in which Foxes' owner Vichai Srivaddhanaprabha and four others died. There would have been no huge appetite to dismiss Puel this season but in the end reality dictated as bad results, poor performances, an increasingly toxic atmosphere around the club and a breakdown in his relationship with Jamie Vardy meant Puel had to go. So how has it gone wrong for Puel after his second Premier League sacking following his single season at Southampton? And could Brendan Rodgers or Rafael Benitez be the men to revive the Foxes' fortunes? Puel, as at Southampton, was damned by his own quiet, under-stated personality which meant he never forged any form of warmth with Leicester City's fans - there was little or no goodwill for him to call on once results went badly wrong. There was speculation he would be sacked at the end of last season, despite only being appointed in October 2017, and even earlier this term because of disquiet over his approach, an uneasy relationship with his players and indifferent results. Leicester's owners resisted the temptation to change in the summer but this meant he needed a strong season which has not materialised. Puel saved himself with successive big wins against Manchester City and at Chelsea in December but the decline in performances and results has been alarming, losing seven of their last nine games. Puel has cut a disconnected figure and while he cannot be expected to transform his natural downbeat exterior into an all-singing, all-dancing Jurgen Klopp-style character - and why should he? - the link to supporters has never happened, with the manager regarded as distant and aloof. Should this matter? Many would say not but it has counted against Puel as the list of poor results lengthened. He has reason to feel the Premier League is a cruel, unforgiving environment after losing his job at Southampton following a season in which they finished eighth and unluckily lost a League Cup final to Manchester United. Puel lost many of those who still supported him with his nonsensical decision to play a weakened side at home to Manchester City, also excluding many big names, in the quarter-final of the Carabao Cup, which Leicester lost on penalties. This was a realistic chance of a trophy, or at least a Wembley final, but Puel's stubbornness got the better of him, while the FA Cup defeat at League Two Newport County drained more of any support he still had. It should not be forgotten how he dealt with the tragic events of October, as he led his part of the club with calm and class, which is why this has been a decision reluctantly taken but is one which can no longer be avoided as Leicester slide into trouble. Puel is his own man and has no wish to pander to the modern demands for technical area histrionics as a sign of passion - which is all very well providing you can produce results. What next? Rodgers in the frame? It is almost two years to the day since Claudio Ranieri was sacked at Leicester, nine months after leading them to the title. Ranieri's successor Craig Shakespeare was sacked just four months after signing a three-year contract and now Puel is out after 16 months. The dream title season will never be forgotten but it seems an age away now, memories dimmed by instability on and off the pitch and of course the helicopter crash in which the club's beloved owner died. Leicester, however, still remains a huge managerial opportunity outside the established top six. The owners are demanding but supportive and there will be no shortage of contenders. Celtic manager Brendan Rodgers is the name that has been whispered behind the scenes for months. He has already emerged as the prime candidate if he can be prised away from Parkhead. Rodgers has rebuilt his reputation in Scotland after his ultimate failings at Liverpool and is certainly not short of personality or charisma. The 46-year-old also plays attractive, attacking football and shares in Puel's penchant for promoting young talent. And after three years and seven trophies - to date - maybe Rodgers will feel that the time is right to leave. Any move for Rodgers would have to wait until the summer though - when Newcastle United manager Rafael Benitez may also be available unless his impasse with owner Mike Ashley is solved - which could see another interim manager arrive in the Premier League. Other names mentioned on Sunday afternoon include former Foxes' favourite Neil Lennon, former assistant Michael Appleton and David Wagner and Slavisa Jokanovic - two men who have already fallen on their swords in the top flight this season. Puel's Leicester City were capable of moments of brilliance but too often they were easy to play against at home, as proved by the 4-1 defeat by Crystal Palace that finished him. Leicester were also weak against teams either in or around them and those they should have garnered more points against. One damning statistic justifiably used to illustrate the failing is that this season they have lost at home to Everton, Cardiff City, Southampton and Crystal Palace in the league and drew against Burnley and West Ham. And even the occasional shaft of light was overwhelmed by the darkness of a run of five losses in six league games, a drop to 12th in the table, signalling the start of those at Leicester City glancing over their shoulders at the Premier League's lower reaches. He was keen to promote a more possession-based style and his willingness to develop younger talent saw James Maddison and Ben Chilwell graduate to Gareth Southgate's England squad along with team-mate Harry Maguire. In the end, however, Puel could not deliver enough evidence of overall progression on the pitch. Puel is a methodical, thoughtful coach who simply did not fit Leicester City, or indeed Southampton, and whose style has not been embraced at either of the Premier League clubs he has managed. This does not mean he is a bad manager or coach, far from it, but he is unlikely to be seen in charge in England again. Jamie Vardy is a powerful personality on and off the field at Leicester City, crucial to the approach which has brought them success and a talisman to fans who see him as one of the symbols of their miraculous 2015-16 title triumph. And yet Puel never seemed to buy in to the importance of Vardy's pace and eye for a goal that still represented so much of what this current Leicester City side should be about. The pair never looked on the same wavelength and elsewhere there was always the suggestion of friction about Puel's training methods and lack of communication. This brief reign was always accompanied by a sense of unease behind the scenes. There was never any impression given that the players in a powerful Leicester dressing room or fans were fully on board and eventually action had to be taken. In recent days Puel revealed he had spoken to keeper Kasper Schmeichel about comments made by his father Peter before the recent loss at Tottenham in which he questioned the manager's ability to get the best out of his players. Schmeichel hardly covered himself in glory in Puel's final loss but ultimately it seems Leicester's owners share his father's view.